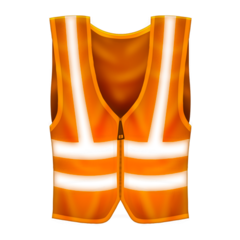 🦺 is an emoji featuring a safety vest, an item of high-visibility clothing. It was introduced with Unicode 12.0 in 2019. 🥼 is an emoji featuring a white lab coat. It was introduced with Unicode 11.0 in 2018.